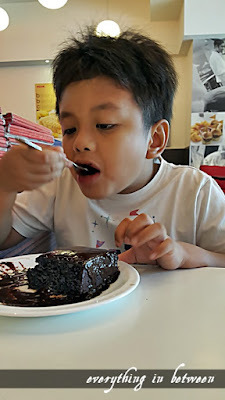 He now always craving for chocolate brownies.. everywhere we go.. he would request for a chocolate brownies.. Sorry Adam, mama is not in her baking mode.. if not, I surely will bake you loads of chocolate brownies.. 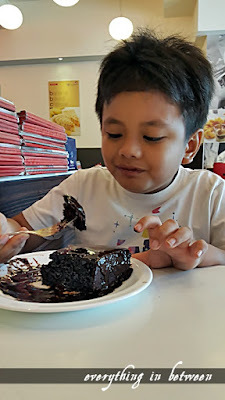 These series are taken at Secret Recipe Shaftsbury Square, Cyberjaya while waiting for papa to clock out..